What Type Of Tent Heaters Are Available? How To Choose The Best Tent Heater? What Are The Safest Tent Heaters? It’s all fun and games around the camp firepit until you retreat to your tent and the winter chill really starts to bite. You’re then faced with the option of sharing a little more body heat with Dave and putting up with his beer breath or shivering away all night long. Well, not exactly. Instead, you could make a tent heater the new member of your weekend adventures with the guys. Tent heaters are exactly what they say on the tin. Although it should be said that these heaters don’t have to be used inside a tent – some should not be taken inside your polyester walls. 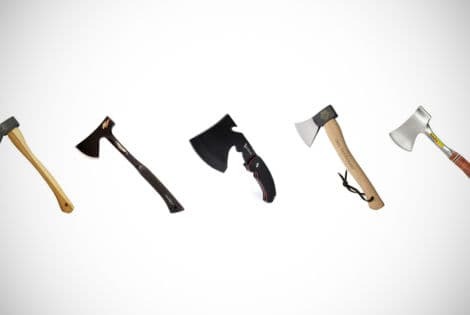 Many guys also like to use them outside their tent, in cabins, man caves, sheds or even around the home or office. Wherever they are used, they provide a sure-fire way of staying warm. The thought of putting a heater anywhere near a tent, which are often made with flammable materials, is a scary prospect. But do not worry! There are tent heaters available with a number of automatic safety features to make sure that the idea of such a heater is completely safe. It’s these safe and effective models that have made the top picks on our tent heater buyer guide. Over just a few meters of scrolling below, you will encounter the best tent heaters currently available. These heaters have been chosen because they cater to different crowds, budgets and have varied features to suit different needs. Stay tuned to the end of this guide where you will discover one of the coolest products ever made to keep you warm on your next adventure – and to find the answers to some common questions about these products. Intrigued? Let’s begin. 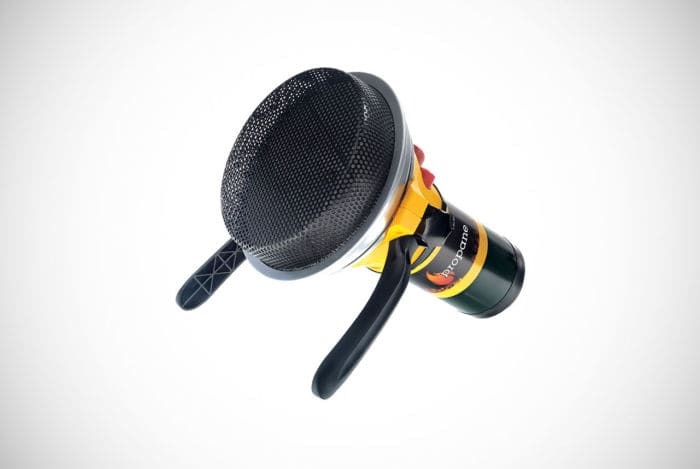 If you’re not a seasoned camper who needs a big investment, or you just have a few cobwebs in your wallet, you will be pleased to know that you can get an exceptional 360-degree tent heater. 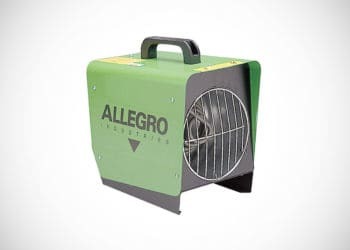 If you’re a serious outdoor adventurer and need a beyond-powerful heater to help you overcome the cold elements, then the Allegro model is hands down by far your next buy. There’s no competition for our editor when it comes to the cream of the crop of tent heaters. This TMS design not only keeps you warm, but it puts hot food in your belly and can dry your wet socks. 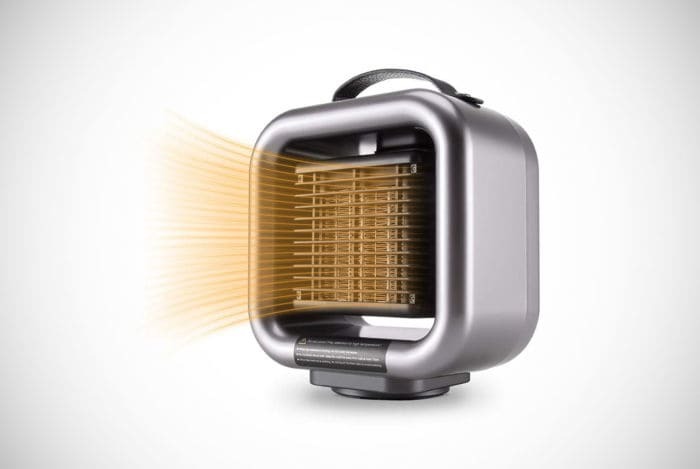 We will warm up with a look at this indoor heater from Mr. Heater. These guys know a thing or two about tent heaters which is why it won’t be the only creation we’ll be featuring from them in this buyer guide. You can choose to get this model in either a red and green color or a camouflage design perfect for camping. 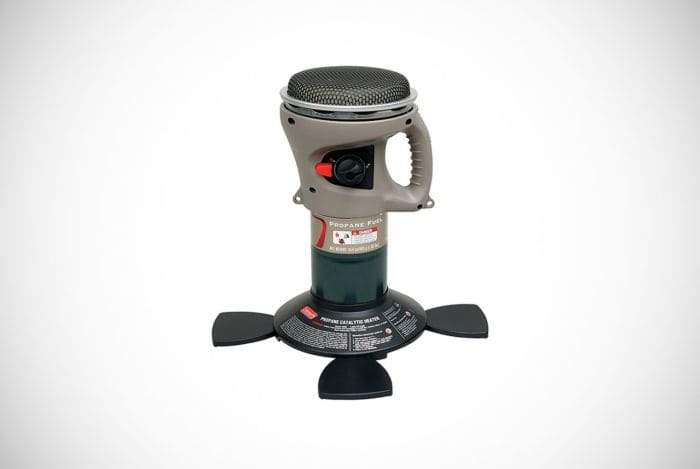 It works by adding a one-pound propane canister which is placed on top of a sturdy but compact stand. To get it working it simply needs a push of a button and a turn of the gas valve. The head of the product can be swiveled up to 45-degrees to make sure you and all the family keep warm inside the tent after a day of adventuring. The head is also home to one of the many safety features woven into its impeccable design. There is a wire guard covering the head at all times to prevent accidental burns. It also has an automatic shut-off system in case oxygen levels dwindle too low. Yet, many will be ready to praise its ability to switch itself off if it falls over as the best safety feature of them all. 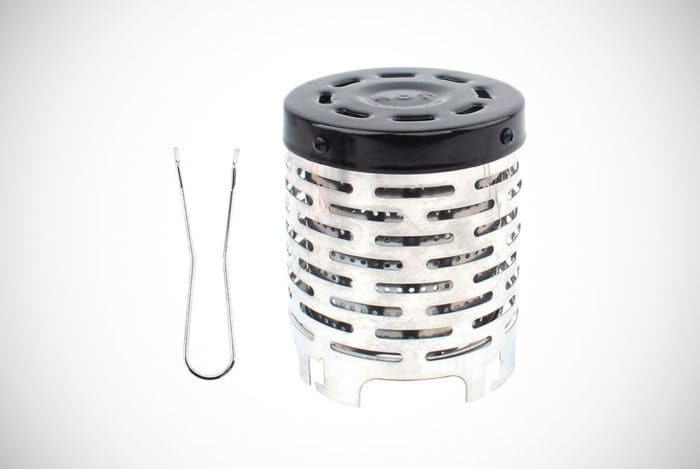 Your tent will never become the campfire with this awesome and safe tent heater. Coleman is a familiar name on some of our buyer guides. They somehow manage to pull the goods out of the bag with lots of fantastic product within their niche. Their tendency to produce quality shines through again with this tent heater. This is another model powered with a propane canister. You will have to buy the 16.4-ounce propane can yourself, but once you have it inserted it will last around 14 hours. Plenty of time to keep you and the guys warm on your weekend fishing trip. The design makes use of catalytic technology so no flame is present and therefore making it even safer for use inside your tent. This model is a real winner when it comes to the convenience factor. It has been made with a built-in handle for easy transportation. Also worth mentioning is the base which can be detached ready for it to be hung up in the perfect location using the eyelets. You could even hang it from the top of the inside of your tent! Hit that button to learn more about this Coleman product. Changing direction a little bit, we will now take a look at the TMS Camping Heater. At first glance, you may not think this is a tent heater, but it really is. It just has to be incorporated with a specific type of tent. It can only be used with a tent that has a stove pipe vent. 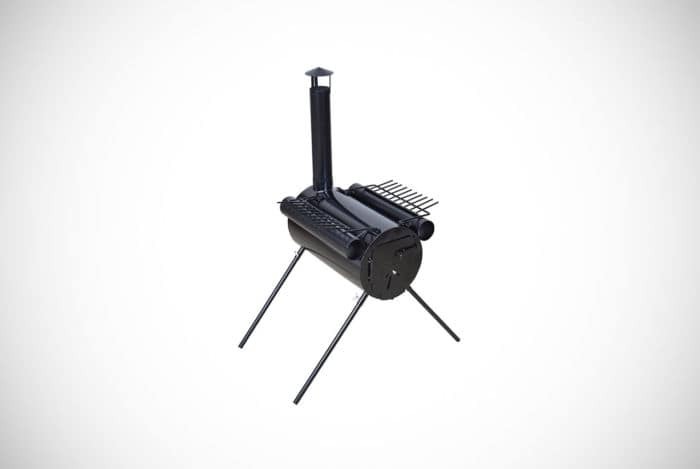 However, if you still like the look and the features on offer, there is nothing stopping you from using this tent heater as your main campfire. One of the most awesome features on offer here is the heater’s cooking tubes. 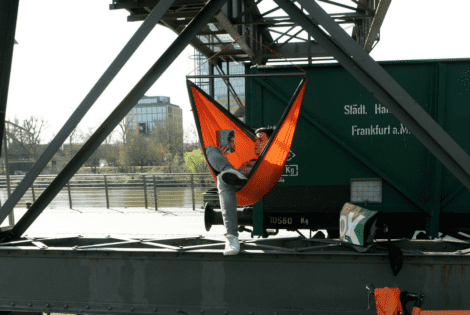 With this product in your getaway arsenal, you will be able to enjoy some baked potatoes around the campfire as you discuss the latest cool products you saw on Men’s Gear. The top grate is also a key part of this tent heater’s design. When flat, this grate can be used as a sort of drying rack. It’s perfect for wet socks after a day’s hiking or to warm your gloves up. When the grate is upright, it doubles as a handle to make transporting this tent heater even easier. The stove design may put a few men off who are already thinking to the cold morning after the beers around the campfire. Yes, one of you boys has to clean the stove. Well, this design makes it less of a task due to easier access to the leftover ash. Learn more by clicking the button below. Martin has brought us back to the orthodox designs we were seeing before that phenomenal stove tent heater dropped by. This highly-portable tent heater will be your new best buddy on any camping trip or fishing expedition. It’s an absolute beast that operates at 3,100 BTUs per hour. However, you can tailor its heating power with an adjustable control to match the size of your tent and your needs. All you need to do is add your own propane canister of one pound in weight (equal to other models that ask for a canister of 16.4 ounces!). Then, adjust the metal dish to the area of the tent that you want to feel the most intensity of the heat. This adjustable dish is another great feature that lets you tailor the product to your needs. There are many other impressive features that will help you decide if this tent heater is right for you. The cylinder base can be extended to improve the product’s stability. The base even benefits from large foot paddles to reduce any chance of it falling over when switched on. Safety features include an automatic shut-off if the flame is extinguished and it has a safety grid over the head of the product. Have you warmed up to it now? The first electric tent heater on our list comes from Mumba. 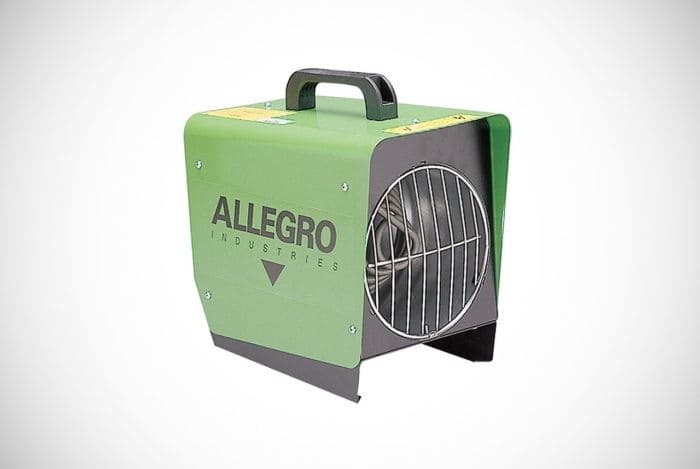 The use of electricity allows users to more accurately control this tent heater. It can produce low or high heats and adequately warm up different spaces between 40 and 90 square feet. 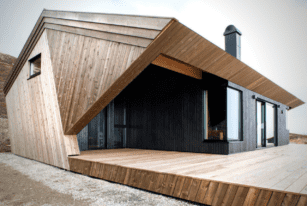 The product is constructed using insulating material. If you worry that your younger kids may get burned, then that worry can be extinguished here. The shell of the heater will never pose a threat and an internal safety function will automatically turn off the tent heater if its temperature exceeds 176-degrees Fahrenheit. Other safety features include a clever self-shutdown if the product tips over. This is one of the most compact and lightweight tent heaters on the current market. It has an oscillating feature to blow hot air around your tent quicker. But it’s not just tents that it’s great for. Simply grab the on-board handle and take it to your study, your shed or your man cave. Wherever you take it you will be guaranteed efficient warmth. At the halfway stage of our buyer guide looking at the best tent heaters, we find one of the most powerful models to date. 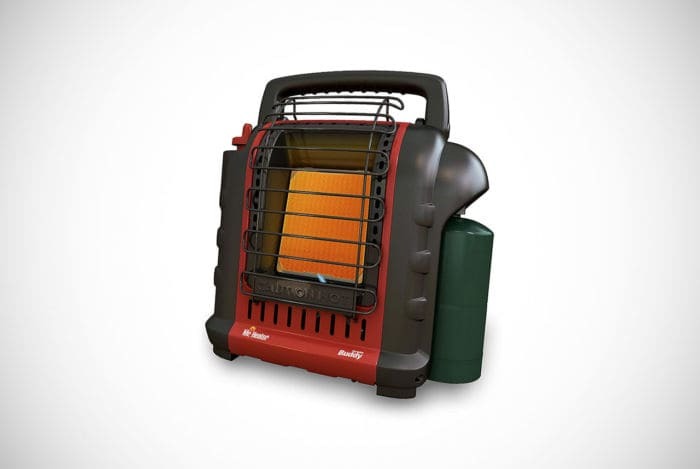 This Mr. Heater creation is a 4,000 to 9,000 BTU heater, meaning it can easily warm up the biggest tents and rooms. In fact, it will be sufficient to keep a space of 200 square feet warm. It’s a clean burner to reduce the maintenance needed to keep it in perfect order. This convenience continues to be seen in the model’s handle which can be erected when needing to transport it but can be folded down to make it more compact when not in use. Due to its mammoth power, it’s a good job that Mr. Heater puts your safety as their priority. This tent heater has a wire guard covering the heating component to prevent accidental burns. It also has an automatic shutdown feature in light of certain dangerous and common situations. If your tent heater tips over, if your pilot light goes out, or if low oxygen levels are detected, this machine will stop working instantly. Number seven is a little bit of an oddball. Unlike many of the other tent heaters which can be used inside or outside your quality tent, this model is probably best used near the campfire. To use this model, you place it on top of a stove. The heater will then transfer the burning flame into radial heat. It’s certainly a unique way of keeping the frost at bay. 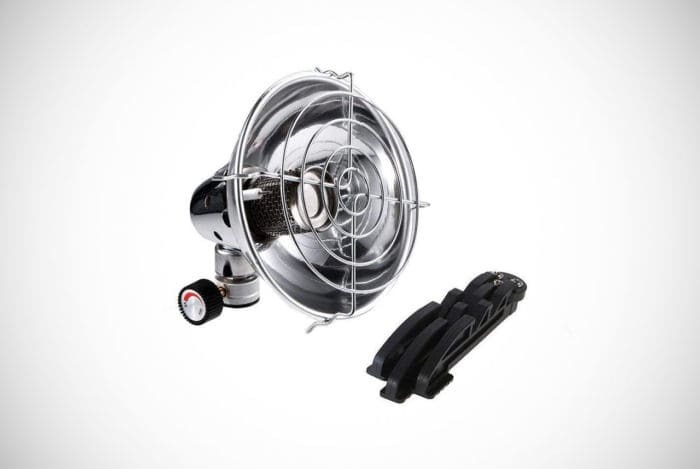 To be able to function in this way, the tent heater is made with 400 grams of stainless steel. The only issue is that you will need to also have a stove with you. A stove may have already been packed in the car but if not, this heater is adding a little more bulk and inconvenience to your trip. Other than that, there are certainly no complaints from us. It will be able to heat up its near vicinity effectively and in an efficient manner. If you’re looking for one of the best tent heaters for a camping trip, hunting weekend, mountaineering adventure or to have on your boat, then this model should be considered. To find out more about this Advanced heater, click the button below so you can learn more. 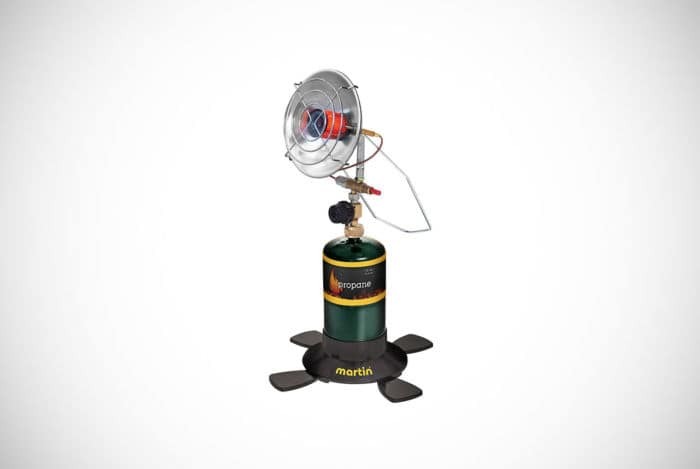 Another quality option is this tent heater made by Martin. It looks a bit like a megaphone but it’s certainly more useful in the forest. It’s designed with foldable legs, so you can stand it securely on any flooring or terrain. You can adjust the temperature by easily turning the dial to the setting you need. Whether you have it on a low or high setting, the heater will remain completely efficient thanks to catalytic technology. Catalytic models are renowned in the industry as some of the most heat-saving and reliable creations. To get it working, you simply add a one-pound canister of propane gas. This will generate a staggering 3,000 BTUs and give you seven hours of warmth. Quite enough time to get you and the guys discussing the day’s adventure over some camp food. If you’re bringing the kids on a camping trip, this tent heater could be a front runner. Propane models are much safer around the little ones and it also features some additional safety features. The heater will automatically turn itself off if the flame extinguishes, keeping you and the whole family safe. 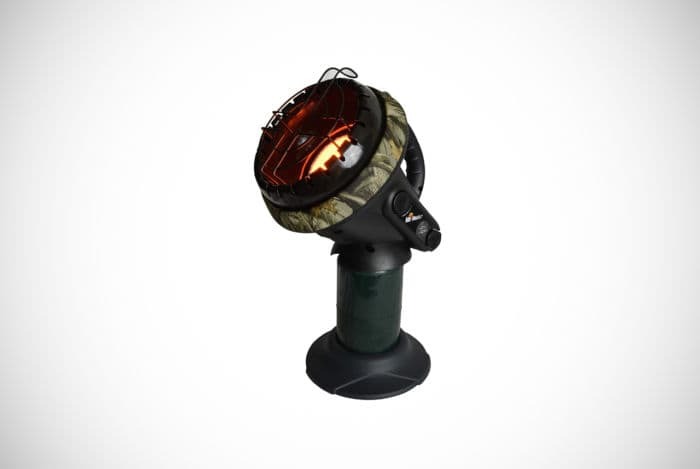 Don’t let the cold stop you from exploring nature with the Martin Camping heater! We might have picked up on the previous model being priced slightly above average, but this model from Allegro is certainly the most expensive on our list. But there is a reason for it which we will get to shortly. This design is another electric camping heater which will require you to dig out a solar power device or similar power bank tool. Once this mean green machine is up and working, it has the power to increase the nearby temperature by a whopping 50-degrees Fahrenheit. This explains its price tag. This also makes it a model that will be best used by guys who are extreme explorers or men who really love adventuring in the outdoors during ice-cold conditions. Maybe the perfect addition to your hunting cabin? Despite its brute power and heating capabilities, the product is not overly big and is, in fact, quite a lightweight tent heater. It may also surprise you that the guys over at Allegro have made this model to go inside a work tent. That’s not to say it cannot be used around the camp’s seating area or your man den. You could always choose this catalytic flameless heater instead. The second appearance from Coleman on our tent heater buyer guide brings us to a model that can be used anywhere from inside your tent to inside the golf caddy. Once you have bought your own propane canister, simply attach it in seconds and enjoy 1,500 BTUs warranting you comfort and warmth. 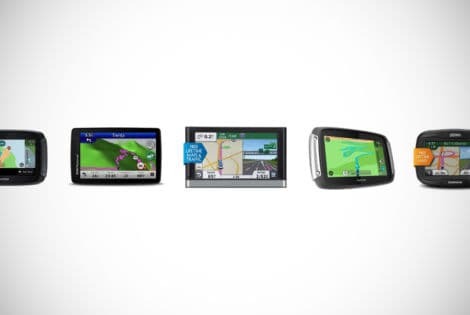 It follows suit to its other model by offering many quality design features. Owners can carry the tent heater using the built-in handle and can then rest it down on a stable base with extended paddles. These paddles give you extra peace of mind that it will remain sturdy on uneven surfaces. However, the base is detachable. Why would you want to detach such a sturdy base? Good question. The answer is in one of its other cool features. 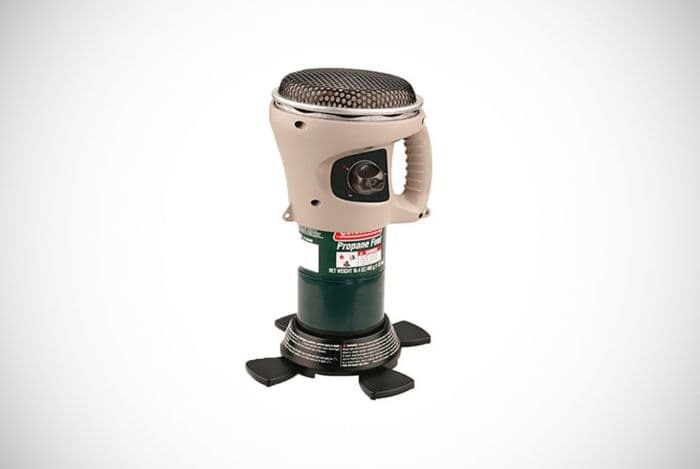 The tent heater has strategically-placed holes that help you tie it up. This way, the tent heater doesn’t have to sit on the ground while you and your buddies fight for the most-heated positions. You can attach it to the top of the inside of your tent or tie it to a tree to give a different angle of heating. 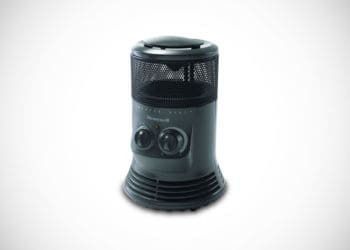 Let this tent heater keep you warm and enjoy its accompanying five-year warranty. Earlier, we saw a tent heater that used a stove to transfer into radial heat. Well, here is a second option for the guys that liked that unique setup. The product you purchase is the heating component and legs for a gas stove. It doesn’t come with a stove of any kind. Again, this may be inconvenient to some light-packing campers but to many who already plan on bringing a stove, it won’t be a burden. The heater is protected in a stainless-steel cover and a rust-proof shield that also provides an element of safety. The whole design is exceptionally compact so if it’s forcing you to bring along a stove as well, you can at least benefit from the small dimensions on the tent heater. On the neck of the tent heater is a valve which allows you to control the airflow. By controlling the airflow, you can control how much heat it gives off and tailor it to your tent or space. The product comes with a carrying bag to make storage and transportation easier. You also get a warranty with this tent heater to give some added payment protection. We will finish our buyer guide of the best tent heaters with a look at an electrical model that brings a new dimension to the table. Forget about fighting for the best spot in front of the tent heater and instead choose this 360-degree heater which will keep everyone warm. The tent heater not only keeps everyone warm, but research also shows that sitting in a circle will encourage good conversation. Not that our readers will be short of interesting topics. 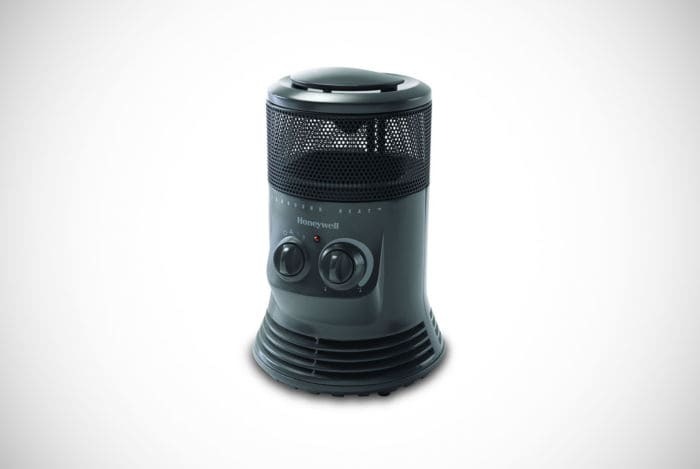 This Honeywell tent heater comes at a competitive price and combines convenience with performance. First off, it’s super easy to operate and easy to tailor it to the temperature you and the guys need. It has two dials. One dial can be used to set the intensity of the blowers while the other sets the temperature. It even has a fan-only setting. Other awesome inclusions are a carrying handle and an extra-wide base to enhance its sturdiness and safety. Safety is a big deal to this tent heater which also has an automatic shutdown feature in case it tips over. And that includes if it tips over in any of its 360-degree direction! Our tent heaters have been all about keeping you warm on your weekend adventures. However, on our search for the best tent heaters, we came across a unique and innovative camping item that will also keep you warm – and we couldn’t help ourselves in wanting to show it to you. So here it is. Let’s take a look at the Firsermo Heated Sleeping Bag. 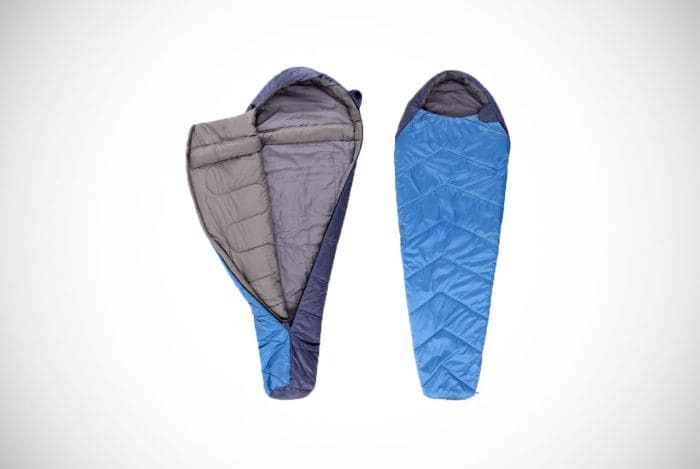 This sleeping bag has been made with an enclosed adapter to keep you warm when the mercury drops overnight. It can be powered using an electrical source or a power bank. You can even manage the temperature of the sleeping bag from an app on your phone. But that’s not all. The app can even be adjusted so the temperature of the foot area of the sleeping bag is different from the waist area. You may be a little bit wary of a sleeping bag with an electrical current in the outdoors. However, these bags are completely waterproof, safe and tested in the USA, the EU, China and Japan. They are super comfortable too and made with breathable fabric which has a soft texture. The product comes in a choice of four awesome colors and can be washed after removing the heating element. You even get a convenient bag to make transporting it simple. 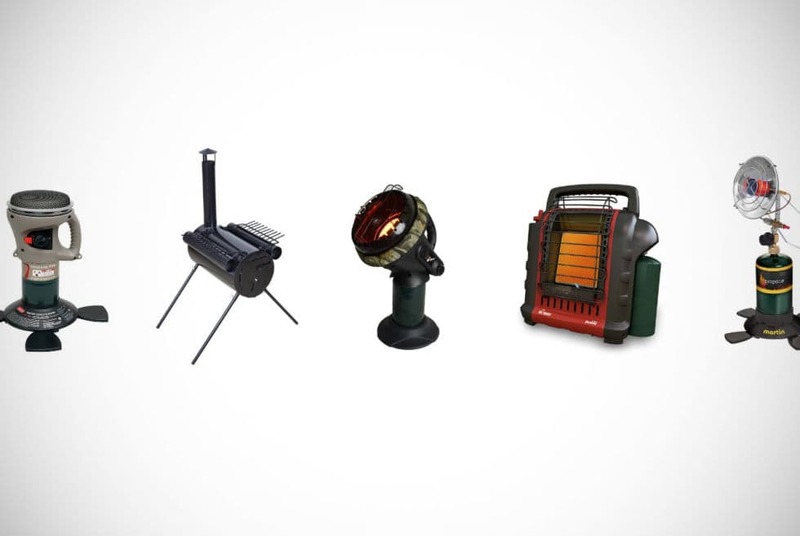 Propane tent heaters – these tent heaters are powered by a canister of propane gas. The gas is used as a fuel to provide the heat. Many of these models are made to be compatible with a one-pound/16.4-ounce propane canister which lasts many hours. In the majority of cases, the tent heater isn’t supplied with these propane cans. You will have to buy your own and you will have to make sure you buy the right size for your tent heater. Don’t forget to check the packaging before setting off on a camping trip or you will be left to rub sticks together to keep warm. Catalytic tent heaters – this is where some confusion comes in. Some people often question whether a tent heater is a propane heater or a catalytic heater. A catalytic tent heater is a heater which uses catalyzed reactions to grind down molecules, resulting in heat production. They are an excellent option because of their primary benefits. They are much more efficient than heaters that are not catalytic heaters. A tent heater that uses propane gas may well be a catalytic heater. Therefore, some propane heaters listed above are also catalytic heaters. Don’t worry because we’ve spelled them out for you! Electric heaters – another type of popular tent heater is an electric heater. These also have some extraordinary benefits for happy campers. The use of electric means these heaters often have dials to adjust temperature setting and even fan settings. This makes them much easier to tailor to the exact temperature you need for the space you need to heat up. However, there are some drawbacks to this sort of heater. Electric heaters need power to work. Unlike buying a cheap canister of propane, they’re more of a head-scratcher when needing to be used in the outdoors. There are two popular ways around this conundrum. You can now buy solar power packs to convert sunlight into an electrical charge. These packs are a great investment and can then be used to power your electrical tent heater, smartphone and more. Alternatively, you can buy one or two power banks and use these pre-charged resources to power the heater and stay warm. Stove tent heaters – the final type of tent heater is probably the design you’re least likely to come across. These are tent heaters that require the firepower from a stove to make them work. These heaters can come in different shapes, including dish-like models and round pot-like designs (see products seven and 11 above for a comparison). Because they use a stove to get them working, they are can be often considered as another type of propane tent heater. Just like you don’t get the propane canister on those models, you don’t get the propane-powered stoves on these. However, not all heaters that require a stove work in the same way. Some products will convert the heat into radial heat to provide an innovative way of spreading warmth. On the other hand, like the dish design just above in product 11, these work in a similar way to many propane heaters. Among the featured tent heaters in our buyer guide, you will have noticed a repeated reference to a product’s BTU rating. These ratings are important to understand the performance capabilities of each heater. 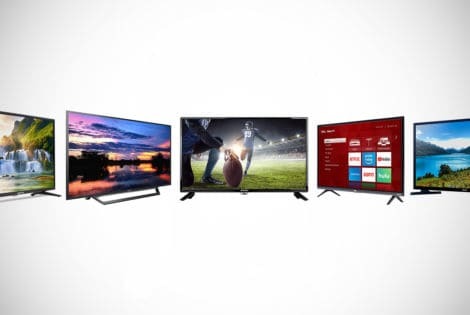 Therefore, we need to explain what BTUs are, so you make the best decision when buying. BTU stands for British Thermal Unit. It’s a measurement of heat that is used across many different types of heating appliances and products. Specifically, BTU measures the heat that is required to be able to increase one pound of water by one degree Fahrenheit. The bottom line is that the more BTUs than a tent heater can generate, the more warmth and heat it can provide efficiently. Heater type – as we just explained the differences between the most popular types of tent heaters, you can use this knowledge to get the right design that works for your upcoming venture. If you don’t own a stove or a power bank then the electric heaters and stove tent heaters won’t be for you. In that case, try and find a propane-powered heater instead. Dimensions – some heaters can be carried on your person while some will need to be loaded and unloaded from the car. Remember to consider the dimensions and weight of these heaters against the ways you will transport them. Power – we just explained BTUs. You can use this information along with product specifications to find a heater that will work with the square feet you need heating up. The idea of adding a heater to a tent – which is likely to be highly flammable – may concern some of us. Even more so if our kids are joining us on an adventure. However, despite the initial thoughts of putting a heater inside a tent, they’re actually very safe. It should be said that not all heaters – even camping heaters – can be put inside a tent. Always consult your specific product’s instructions or manufacturing guidelines if you’re unsure. 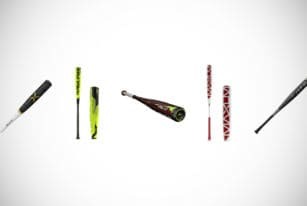 Many of the best designs have a number of safety features to prevent accidental injury or bigger disasters. Along with tent heaters that are flameless. These are the safest types of tent heaters. Many of these ones have been designed with cages around the main heating mechanism and wide stable bases to prevent them from tipping over. If they do tip over, the best tent heaters will automatically switch themselves off. Many have also been fine-tuned to shut down in a number of other situations, such as when low oxygen is detected or if the flame has unknowingly gone out. It’s these features that you should look out for when trying to find the safest tent heaters. You should also look out for CSA certificates. These certificates are issued by the CSA group who have tried and tested different appliances before going to market. Tent heaters will need these certificates to ensure they function accordingly to guidelines and safety regulations. If the tent heater you’re looking at doesn’t have a CSA certificate, don’t give it a second glance. Thanks for joining another one of our buyer guides giving you the lowdown on cool gear all men should own. We’ve had the privilege of showing you some of the best tent heaters on the market and some truly special ones from the likes of Coleman, Martin, Honeywell, Allegro and TMS. It’s certainly a difficult choice between them. We put our top 12 together to offer you many options for different types of heaters with different designs and capabilities. Not to forget we cater to all budgets here on Men’s Gear. Despite showing you the different models, all the tent heaters on our guide ooze quality. Remember to take into account our advice when making your decision and consider these tent heaters against your wants and needs. We did the same and we’re currently sat around the campsite enjoying the editor’s pick. Once again, thanks for taking part and we are keen to see you with us again on another buyer guide soon!